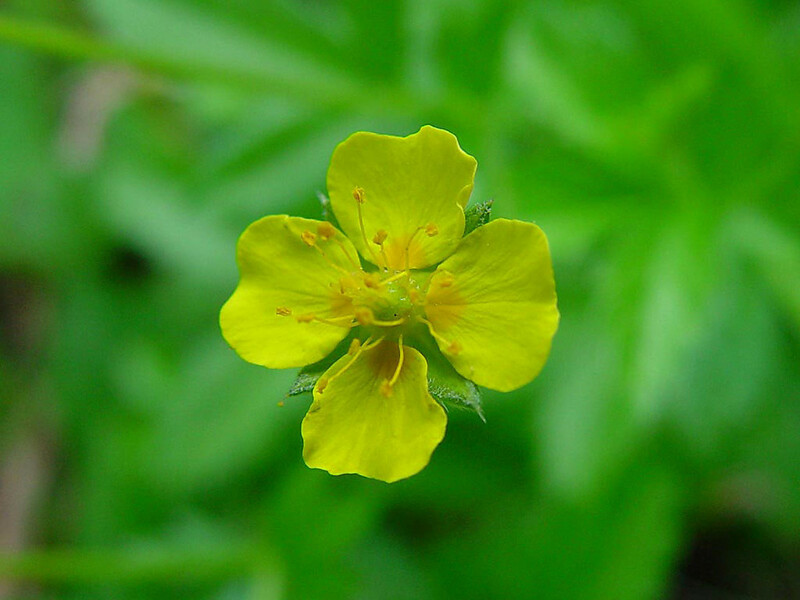 English cinquefoil is a trailing, creeping perennial native to the British Isles, where it inhabits well-drained, acidic soils of heaths, banks, and disturbed field edges. 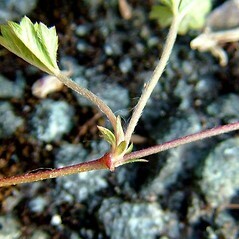 It has a patchy distribution in North America; in New England, it has been collected in Maine. 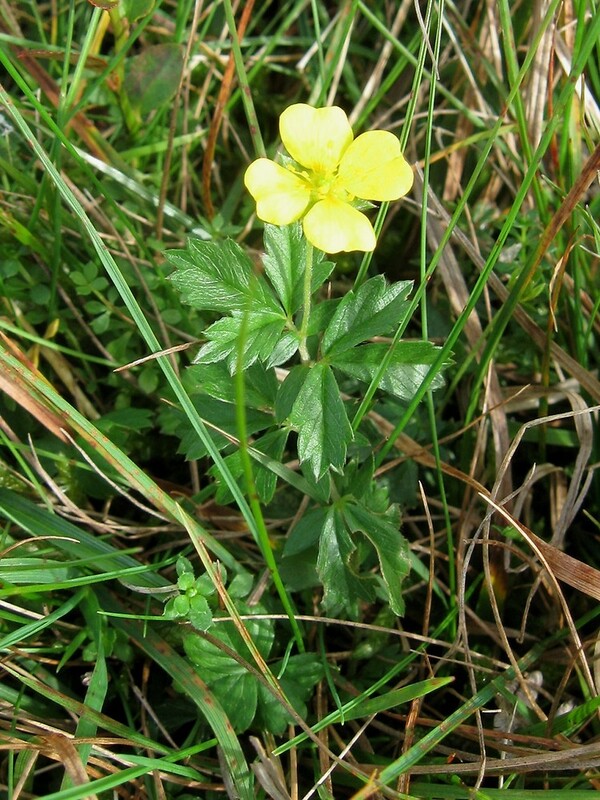 In its home range, it can hybridize with erect cinquefoil, P. erecta. 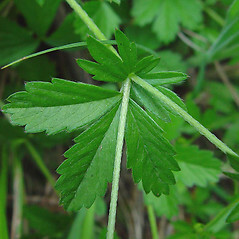 flowers with 5 sepals and petals, leaf blades pubescent on the abaxial surface, and upper leaves with usually 5 leaflets (vs. P. anglica, with many or all of the flowers with 4 sepals and petals, leaf blades glabrous or glabrate, and upper leaves with 3 or 4 leaflets). 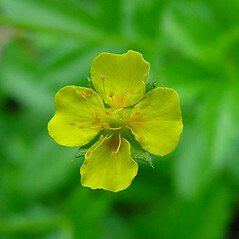 English cinquefoil. 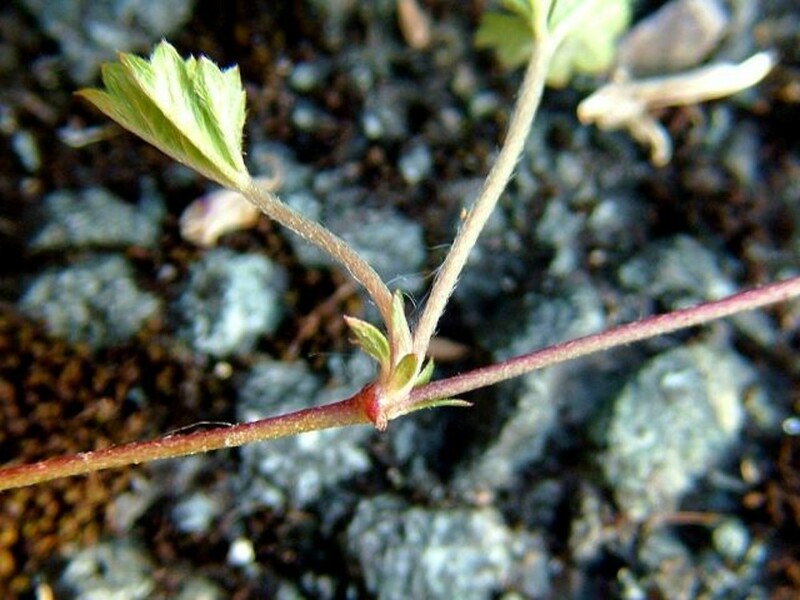 Potentilla procumbens Sibthorp • ME. 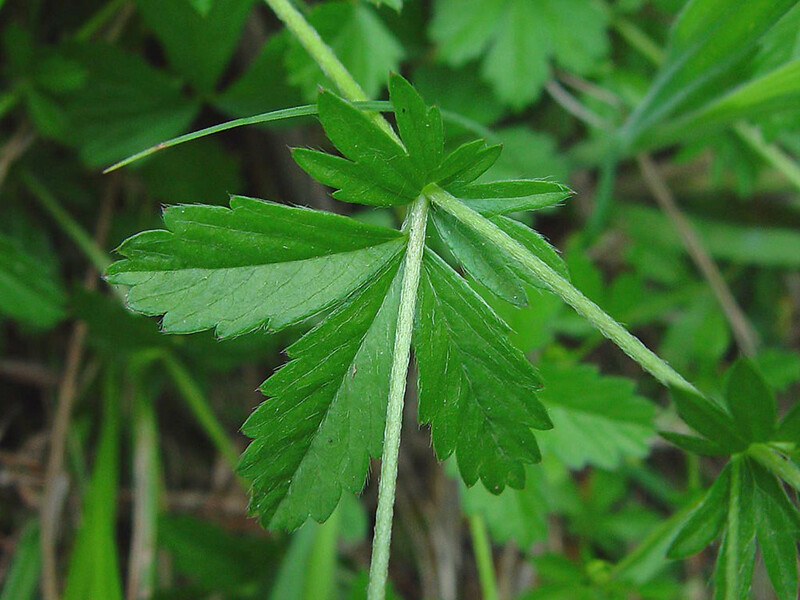 Fields, pastures, waste areas. 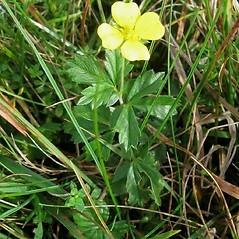 Considered to be a hybrid-derived species with Potentilla erecta and P. reptans as parents.